The spring equinox is just eleven days away [Me, watching the calendar? Certainly not....] and it's time to start planning the garden in earnest. 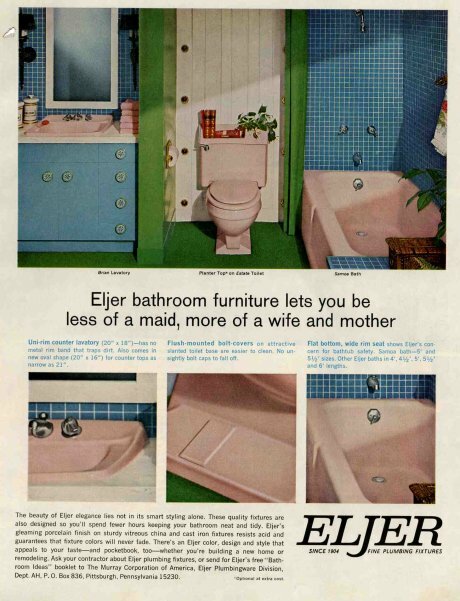 In 1964, in a novel move, Eljer made it possible to culture a few seedlings on the toilet-tank lid. Yes. 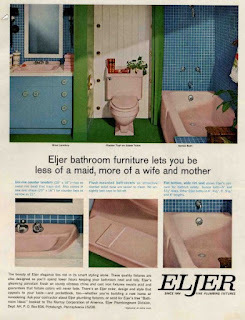 Molded into the ceramic was a planter compartment, complete with drainage holes. If you're smitten with this unique item, the model number is 5590; you may be pleased to know that a casual online search turned up a few of them in various colors.